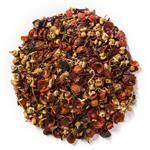 Herbal Cranberry Orange (Loose Leaf) combines cranberry essence with a unique base of chamomile flowers and orange peel. Davidson's Herbal Cranberry Orange (Loose Leaf) is a delicate brew with tart cranberry undertones and a tangy citrus finish. 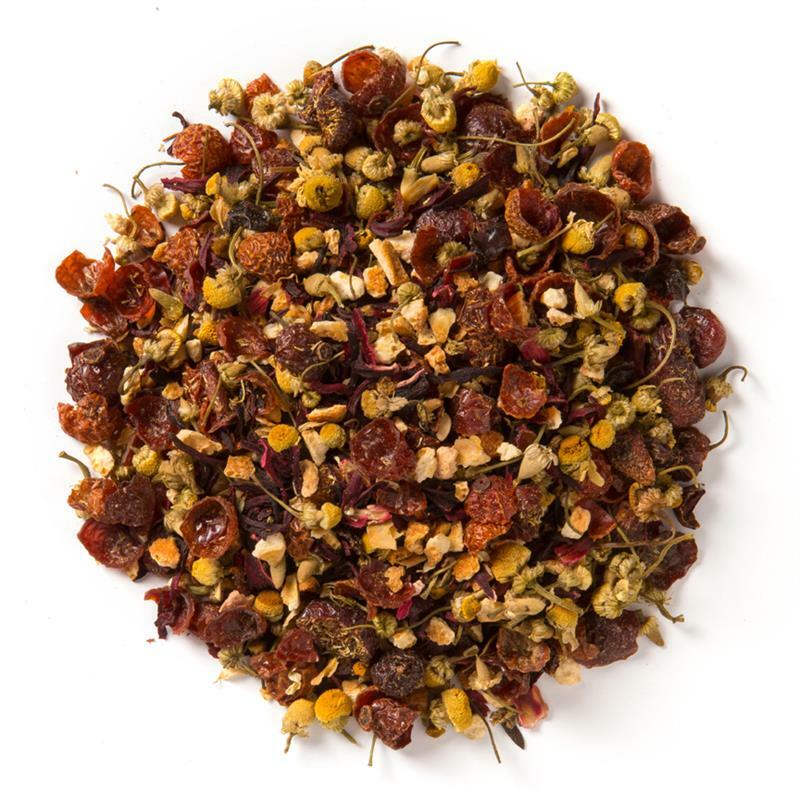 Organic rosehips, organic orange peel, organic hibiscus, organic chamomile, organic cranberries, organic rooibos, and natural flavor. 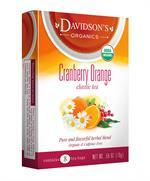 Brew 2 tea bags of Davidson's Cranberry Orange Herbal Tea in 8-oz. of hot water for 7 minutes. Freshly squeeze an orange wedge (about 1/4 of a whole orange) into a champagne flute. 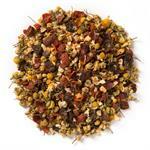 Add 4-oz. of Rosé into the champagne flute. Enjoy with your pinkies up!